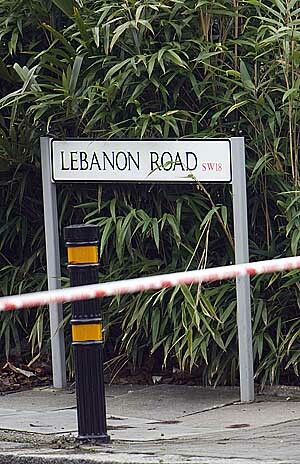 Todays job was the murder of 21 Year old Nathan Douglas, from Camberwell in Lebanon Road, Wandsworth, a matter of a few hundred yards from the Wandsworth Police Station, there are rumours that there was initially an attempted abduction, which when unsuccessful resulted in the murder of the victim. 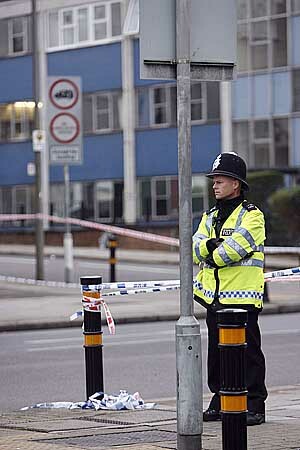 Police Officers stand at the cordon on West Hill, Wandsworth. 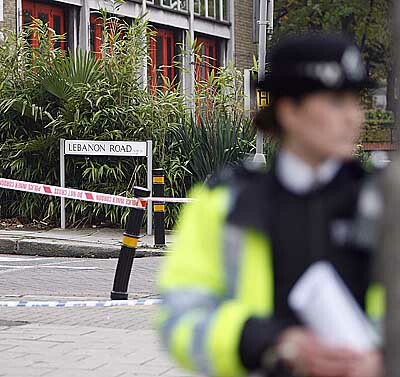 Police were called to Lebanon Road, Wandsworth, late Monday night. The 21-year-old victim, who is black, was pronounced dead at the scene. It is understood he was known to police. Next of kin have been informed, but were waiting for formal identification. 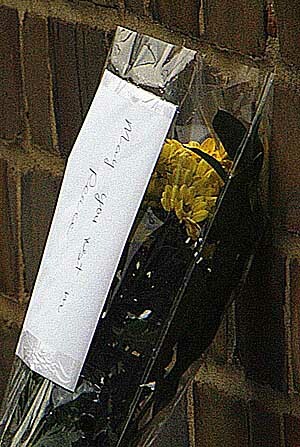 A post-mortem will be conducted at St George’s Hospital mortuary, Tooting this afternoon. Two men have been arrested on suspicion of causing grievous bodily harm, but are not wanted in connection with the murder. Road closures were in place Tuesday morning while police conducted inquiries in the area. Officers from the Homicide and Serious Crime Command who are investigating Mr Douglas’ murder have appealed for witnesses. 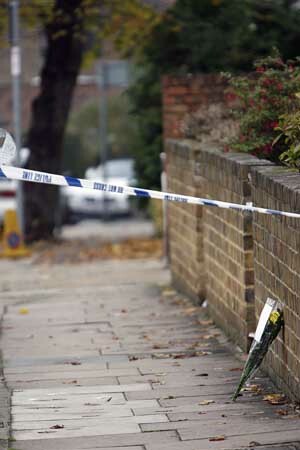 Anyone with information should call the incident room on 020 8721 4155 or Crimestoppers 0800 555 111.